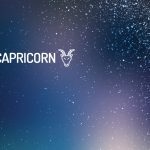 Here, you can find out more about the weekly Horoscope for Capricorn, from April 22nd to April 28th. Every week, WeMystic will bring you the forecast for Love and Relationships, Health and Money & Career. It’s time to rethink things. Singles: you have many things disputing your attention right now, Capricorn, so your love life has lower priority most of the time. What would happen if you put love first for a change? When romance is your focus, good things can happen. Get the job done quickly and efficiently over the weekend so you have more time to get out. Once you relax, you can really have fun. Engaged: it’s time to resize or rethink things. Your accomplishments surprise everyone at the weekend, and your partner should be the one who claps louder. If not, it’s more proof of what you should think earlier in the week. Expect some resistance to your plans. You are facing an interesting time. On one hand, your contacts are getting bigger and more supportive. On the other hand, someone is not being totally honest about what they want out of their friendship. Instead of ending the relationship, calmly analyze how this can benefit you financially. They want to be close to you because you are successful and may be able to help you achieve your dreams. Get as much work as possible as soon as possible. Expect some resistance to your plans. Your more reliable co-workers will provide a lot of serenity in a sea of ​​change. An office romance or passion can explode. Make sure this is smart. Try to forget about work during the weekend. Be sure to keep a healthy diet. You can easily get a psychic view under the current planetary influence and thus get a preview of the area of ​​your life associated with health and well-being. Ask yourself what you foresee and make notes. Keep in mind that you are asking for your own benefit: what is in store for you? To help you maintain this ability, make sure you maintain a healthy diet that includes a lot of fresh food and pure water. Your body is the lens through which you see the future. You may need to make a decision about a problem that negatively affects your health; the sooner the better. Worrying is making you feel exhausted. It’s time to be good to yourself. Continue to eat fresh, minimally processed food. The closer you are to your original condition, the better it will be for you.